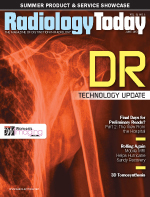 Editor’s Note: Radiology Today is taking a look at the future of preliminary reads in radiology. This article, the second of two, looks at the hospital’s and traditional on-site radiology group’s view on these reads. The first article, which appeared in our May issue, focused on teleradiologists’ opinions. When teleradiology services started about a dozen years ago, reports had to be preliminary because the readers often were offshore and lacked immediate access to prior studies, patient histories, and other pertinent information needed to make final reports. Moreover, Medicare does not reimburse for reads done overseas. However, as technology has advanced and more teleradiologists read from the United States, after-hours radiology services often can provide final reads. But do hospitals and on-site radiology groups that use after-hours services want the reports they receive to be final? Or would they rather the reports remain preliminary so they have a greater hand in all studies that come through their facility? However, Greg Rose, MD, PhD, president and CEO of Rays Teleradiology in Littleton, Colorado, and CEO of EmCare Radiology Services, argued that final reads are right for some radiology groups and not for others. He said that the choice of preliminary vs. final reads is based on several issues, including financial, political, and personal, and each radiology group may give different weight to each element. This month, we asked hospital-based radiologists and radiology administrators for their perspective on the issue of preliminary vs. final reads. Like the teleradiology group leaders, their opinions varied. Some agree the time has come for all reads to be final, and some say they still prefer that the radiologists reading at night and on holidays provide preliminary reports, leaving the on-site day radiologists to make them final. Their arguments are similar to those of the teleradiology groups: If all reports are final, duplicate services and unnecessary work are eliminated. On the other hand, preliminary reports can be delivered faster, and in emergency settings, time to treatment based on the reports can be crucial. Also, having off-site radiologists do final reads can present logistical nightmares for billing and credentialing issues. Ezequiel “Zeke” Silva, MD, a radiologist with South Texas Radiology Imaging Centers and chair of the ACR’s Task Force on Teleradiology Practice, believes determining whether reads should be preliminary or final depends on the patients’ best interests, not the radiologists, regardless of whether they’re working on site or remotely. In some cases, the answer could be preliminary reads and in some it could be final reads, he says. Preliminary reads can be turned around faster because they don’t need to be transcribed or finalized. If the emergency department (ED) physicians are waiting for exam results to make treatment decisions, then it could be better for the patients if the reports were preliminary, Silva says. He also says final reads could be better for patients only if remote readers can meet several criteria. Before the study is performed, they must have access to all clinically relevant information and be immediately available to the technologists performing the study and the physicians and/or surgeons ordering it. After the study is performed, the teleradiology readers must be able to communicate their interpretations clearly with the ordering physicians and be available hours or even days later. “If all those best practice standards are in place, then that [after-hours] reader can rightfully provide the final read in the best interests of the patient,” Silva explains. Gayle Thompson Smillie, director of radiology and central patient transport for MedStar Washington Hospital Center in Washington, DC, believes only simple chest X-rays not requiring a specialist’s interpretation should be preliminary reads. Otherwise, she says, the readers are unnecessarily duplicating efforts. Several studies have shown that between 2% and 11% of preliminary and final reads have discrepancies, Smillie says, “and those discrepancies may impact the patient’s outcome.” One study done at UCLA showed that the discrepancies can lead to longer hospital stays and higher mortality for patients, she says. Smillie notes that MedStar Washington Hospital doesn’t use teleradiology services. It has a contracted group of 28 radiologists, five of whom are on call after hours. The radiologists do reads remotely because they also cover for one of the smaller hospitals in the MedStar system, Medstar St Mary’s. The radiologists are all highly specialized and have diagnostic-quality PACS workstations at home where they can read, she says. Carlos Vasquez, MSM, RT(R), CRA, FAHRA, FACHE, is division director of radiology services and facilities management for Franciscan-St Elizabeth Health in Lafayette, Indiana, which contracts with a teleradiology group for coverage from 11 pm to 7 am every night. “Our group is only nine doctors, and they couldn’t have someone to read nights,” says Vasquez, who is also the AHRA president. The teleradiology group provides final reads for emergency department STATs, traumas, strokes, and ST-elevation myocardial infarctions and preliminaries for all other studies. Currently, about 15% of the studies the teleradiologists read are finals and 85% are preliminaries, he says. Vasquez believes both preliminary and final reads still have their place, but he expects pressure to mount to provide more final reads as providers and insurers look for efficiencies, standardization, and continuity of care. Ultimately, he expects preliminaries to become “a thing of the past.” Eventually, he suspects finals will be the industry standard, whether they come from the on-site or teleradiology group. Matthew DesRosiers, MBA, practice administrator for Winchester Radiologists in Virginia, says his group prefers that the teleradiologists provide preliminary reads, mostly for practical reasons. The hospital-based group, which has 15 partners and several associates, uses teleradiology services to cover for everything except plain films from 1 am to 7 am. An on-call radiologist can be paged if necessary during those hours. If the teleradiologists provided final reads, to bill for the studies, they would need to be credentialed as part of the group. Though they could be credentialed, “it would add a layer of complexity,” DesRosiers says. By doing the final reads, Winchester Radiologists also maintains its responsibilities for supervision, according to DesRosiers. “Being a hospital-based radiology group, you are ultimately responsible for the performance of the technologists and the quality of all the images. You have to make sure that the technical component is being done correctly. That’s a big piece of the puzzle that we do and teleradiology companies do not, and that’s another consideration,” he explains. Most importantly, though, it’s a matter of branding. “The radiology group wants to control the final product and the service that’s delivered. We have relationships with the physicians and the ED doctors. They know our radiologists and look to us for consultation and diagnoses. We don’t want to dilute our brand by providing final reports from radiologists they don’t really know or see,” DesRosiers says. To protect its brand, Winchester Radiologists likely would arrange to provide services 24/7 before they would allow the teleradiology service to do final reads, he adds. DesRosiers also sees having its radiologists do the final reads as quality control rather than duplication of services. “I don’t buy that it’s double work,” he says. “I see the flip side of the argument and that is you end up with better quality because every ED film gets a double read.” Knowing that their reports will be reread in the morning helps keep the teleradiologists “on their toes and ultimately you end up with better care,” he says. Winter Haven Hospital in Florida opted to use a teleradiology service every other week from 10 pm to 7 am after the radiologist who covered nights retired. The 30 radiologists who cover five different hospitals and various clinics provide final reports, but the teleradiologist group provides preliminary reads. The physicians covering Winter Haven Hospital’s busy ED would prefer the hospital’s radiologists read all reports but only for consistency, according to Ed Yoder, MHA, MBA, RT(R), CRA, FAHRA, administrative director of medical imaging and radiation oncology services. “If we had one process for the whole time, they wouldn’t have to try to remember who’s on first,” he says. Like DesRosiers, Yoder says the issues relate more to logistics than quality of care. “If the teleradiology reports were finals, the readers would have to be on staff and that creates a lot of issues. You have to go through a lot of hoops to credential radiologists,” he explains. Because there’s a lot of turnover in teleradiology, it’s likely someone would always need to be credentialed, he says. Every hospital has its own process for credentialing doctors, but Winter Haven requires an in-person interview and it would be a hassle, especially if the teleradiologists are across the country, he says. Emergency physicians need reads as soon as possible in order to treat patients, and teleradiologists can deliver preliminary reads in about 15 to 25 minutes. Final reads take longer because transcription or editing a speech file and final signing by the radiologist is required. — Beth W. Orenstein of Northampton, Pennsylvania, is a freelance writer and frequent contributor to Radiology Today.